13 LISTS Ariana GrandeShe's got so much love, got so much patience—She's learned from the pain. She turned out amaaaaziiiinggggggg. Amazing Quotes from Your Girl A Timeline of All the Loves in 'Thank U, Next' The Best Songs ft. Ariana Grande Every Song on thank u, next, Ranked A History of Her Famous Hair Every Song on Sweetener, Ranked Funny 'One Taught Me Love' Memes All Her Albums, Best to Worst Inside 'Dangerous Woman Diaries' Ranking Her Best Hairstyles References in the 'Thank U, Next' Music Video On 'Imagine' and Mac Miller But Who Feeds All the Doggos? List Rules Vote up the most awesome, inspirational quotes straight from Ari. 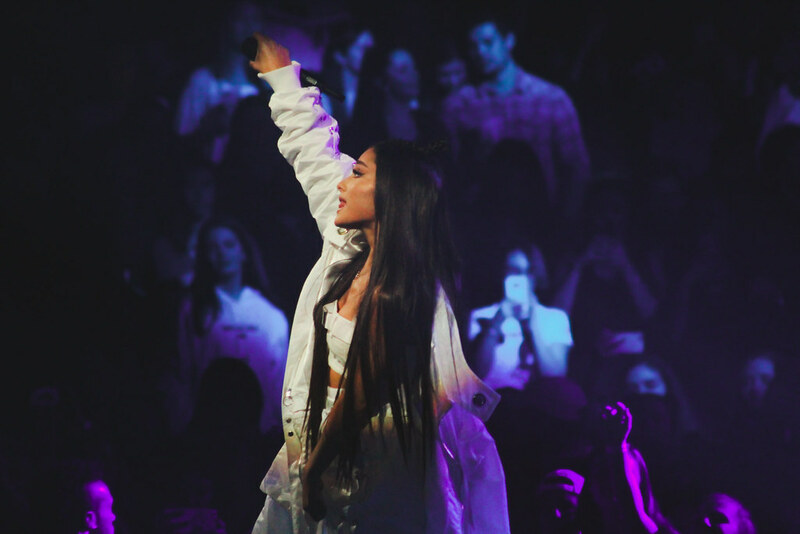 Ever since launching her career on Broadway at the age of 13, Ariana Grande has taken the world by storm. She went on to become a series regular in the Nickelodeon shows Victorious and Sam & Cat before launching a killer solo musical career. With a vocal range that's been compared to Mariah Carey's, her songs have been no strangers to the top Billboard charts. Not only has she been nominated for four Grammys, in 2016, but Time Magazine declared her one of the most 100 influential people in the world. It came as no surprise to her many social media followers when Billboard dubbed her their 2018 Woman of the Year. With her fierce stances on feminism and her support of a large range of charities, Ariana is a woman with a lot to say. Here you'll get to know her a little better with a collection of some of her stand-out quotes about life, love and more, from both interviews and song lyrics. Does this make you love her even more? "Be happy with being you. Love your flaws. Own your quirks. And know that you are just as perfect as anyone else, exactly as you are."